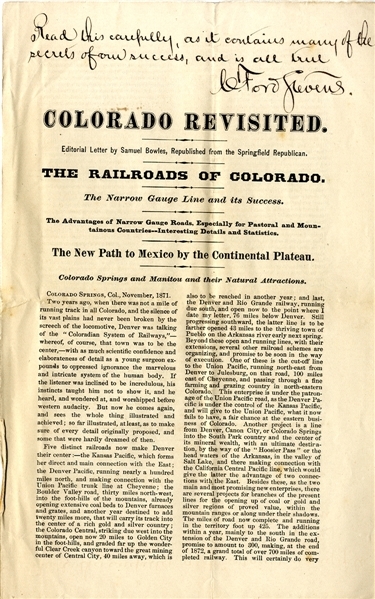 Pamphlet, “Colorado Revisted....The Railroads of Colorado...The New Path to Mexico by the Continental Plateau...” 6pp. quarto, 1871, with Autograph Note Signed at top “Read this carefully, as it contains many of the secrets of our success, and is all true. C. Ford Stevens.” Fine condition.